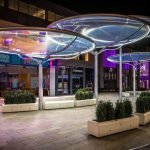 Fabric Architecture’s cross-collaborative approach and innovative tensile design experience brings ideas to life – transforming the original concept into build-able and memorable tensile fabric solutions. 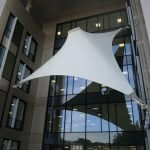 Fabric Architecture offer tensile design services as a part or whole package. Whether your project is at design study stage or going to tender, the company’s design ethos is a continual exchange of ideas from inception to completion. 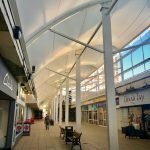 Calling on the many combined years of industry experience, Fabric Architecture’s multi-skilled team of tensile design experts bring communication, knowledge and a practical attitude to each and every tensile project. 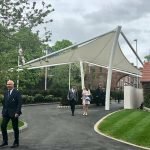 As winners of several prestigious accolades from The British Design Award to the IFAI’s Award for Excellence, the company’s leads the global tensile fabric industry. Lose nothing in translation. Draw on Fabric Architecture’s unprecedented engineering expertise. 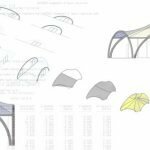 Fabric Architecture is the only company in the tensile structure industry to provide in-house engineering services. 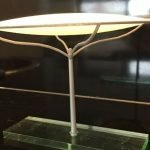 Each tensile project immediately benefits from the in-depth knowledge, efficiency and reliability of this specific in-house expertise. 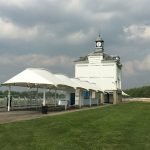 Practical like-minded engineers are available, throughout the duration of the project, to help you deliver world-class bespoke tensile structures. 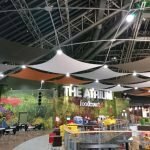 Drawing on over 30 years of experience in the tensile industry and having installed thousands of tensioned fabric structures worldwide, Fabric Architecture’s team of Installation Specialists continue to seamlessly deliver beautifully practical tensile fabric structures. Fabric Architecture brings you an experienced and innovative team of dedicated professionals. To find out more about them please visit the FA Team Page.